It’s tempting to think of the winter months as a time to batten down the hatches and hibernate till Spring, but there’s actually a wider variety of short-breaks to choose from than at any other time of the year. 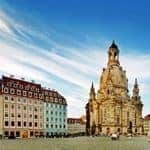 Pack up your thermals and head to the mountains for a skiing or boarding break, pep up your Christmas shopping with a trip to the vibrant markets in Germany and Austria, or even hop across the Atlantic for a spree in the Big Apple. And in the depths of winter, what better way to prepare for Spring (and recover from Christmas) than a healthy spa or yoga break? The weather in Britain may not be our friend in the winter months, but in other countries it’s the best season to visit. 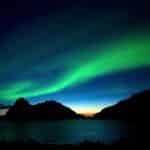 There are few sights more thrilling in the natural world than the Aurora Borealis, or Northern Lights, which radiates across the night sky in vibrant blues, greens and reds above Scandinavia and the Arctic Circle, Tromso in Northern Norway, is one of the best places to spot the lights themselves, and there’s stunning mountain scenery too. In February, you can combine whale watching with the Northern Lights on this four-night Orcas and Aurora escorted tour in Iceland. Another wild winter destination is the Faroe Islands, just an hour’s flight north of Edinburgh with easy connections across the UK. This four-night Winter Explorer self-drive trip will get you right into the wilderness. If whooshing down pistes – and sinking a few schnapps afterwards – is one of your winter must-do’s, then a skiing short-break can be a way to have more than one foray to the slopes in a season. 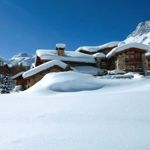 Hop to Austria or France for high-altitude resorts with excellent snow records, and a nice line in chilled (literally) après-ski. Short-break operators tend to offer everything from shuttles to the slopes to lunch reservations, to ensure you get the most from your few days away. See more from Peak Retreats. Alternatively, Inntravel has a great selection of winter breaks in the snow including cross-country skiing in Austria and snowshoeing in Switzerland. A Christmas shopping break is a great way to take the hard work out of shopping for a slew of gifts. Christmas markets, particularly in Germany, offer a really memorable break, with lots of unusual presents – from hand-carved wooden toys to jumpers and scarves – on sale. But its a hugely sociable experience too, with wooden huts selling spicy gluhwein (mulled red wine) and sizzling wurst (sausages). Cities with most atmospheric Christmas markets include Cologne, Munich and Prague, along with Freiburg, Koblenz and Wiesbaden. Or for a shopping break with real style, hop across the Atlantic to New York. The Big Apple is at its spectacular best in the run up to Christmas, with alfresco ice-rinks at the Rockefeller Centre and in Central Park, shops along Fifth Avenue decked out in festive displays and a real party feel. 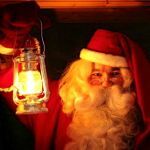 If you’re looking for a short-break with the kids in tow, there’s no better option than a trip to Lapland, to see the home of Santa himself. Reindeer sleigh-rides, husky sledding and snowmobiling make for an unforgettable trip, while younger kids will love the chance to meet the Elves who make Santa’s mega-delivery possible. When all the festivities are over and the New Year rolls in, things inevitably tend to feel a little flat. So when better to jet off for a hit of winter sun; Madeira has reliable temperatures in the mid-twenties all year round and offers spectacular mountain countryside, luxurious hotels and dramatic Atlantic beaches. You could take a golfing short break in Tenerife or Morocco or the Algarve, all of which enjoy mild and sunny weather in winter. But if the thought of getting into a swimming costume after all the Christmas indulgence fills you with horror, then maybe a health and fitness break is the answer. Tone up mentally and physically with a yoga holiday, which combines daily classes, healthy food and the chance to really recover from the festive period. Or for something more all-encompassing, try an in:spa retreat, where a team of personal trainers, yoga teachers, nutritionists and massage therapists will create an individualised programme to re-energise you and set you up for a healthy, successful year. Also see my tips for the best city breaks in summer, spring and autumn. And find in-depth information about the hottest and sunniest places in Europe.